We’re experiencing a renaissance — at least Ian Smiley thinks so. The Ottawa resident, who often consults with distilleries across the country, says Ontario is in the midst of a craft-distilling boom. “While there hasn’t been much change in the way of legislation, the government has been quite co-operative,” says Smiley, whose 2000 book, Making Pure Corn Whiskey, is often referenced by people in the burgeoning small-batch liquor industry. But those wanting to start a distillery still have some significant hurdles to overcome, especially the requirements specifically created to keep out small distilleries. For example, in order to open an onsite retail store, a distillery must have either a 5,000-litre still (imagine a cauldron big enough to hold three grown men) or a continuous still capacity of 150 litres of alcohol per hour. Ottawa native Charles Benoit, co-founder of Toronto Distilling Co., says the first option simply does not work for craft distilleries. 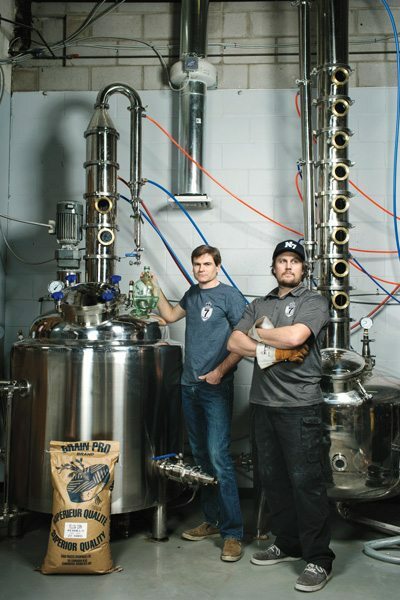 “We have a 500-litre still, and that’s a good size for us,” he says. Benoit, a lawyer by training, found a way to achieve the second option by feeding the still with absolute alcohol to meet the hourly requirement. It’s a creative work-around that Ottawa’s North of 7 also used to get their business started. Once up and running, taxes are the next big hurdle. So exactly what do wineries and breweries pay in excise tax, compared with distilleries? It’s based on alcohol percentage and the volume output of the winery, brewery, or distillery. In general, wineries pay $0.620 per litre; breweries pay $0.312 per litre. 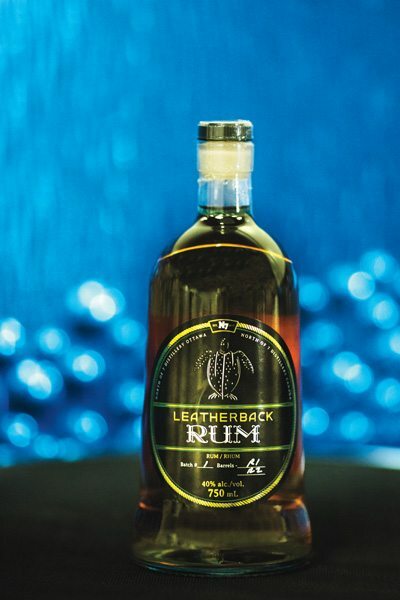 Spirits, however, are taxed at a whopping $11.696 per litre. “Then it’s the provincial markup,” Benoit says. “They don’t care about the alcohol content. They just mark up what you charge them. Our wholesale price is $12 a bottle — their markup is 140 percent.” By comparison, wine is marked up by only 70 percent. Markup is something that every craft distillery has front of mind. Indeed, that concern is one of the reasons more distilleries are popping up across the province. People are demanding the quality that makers such as North of 7 are able to produce. 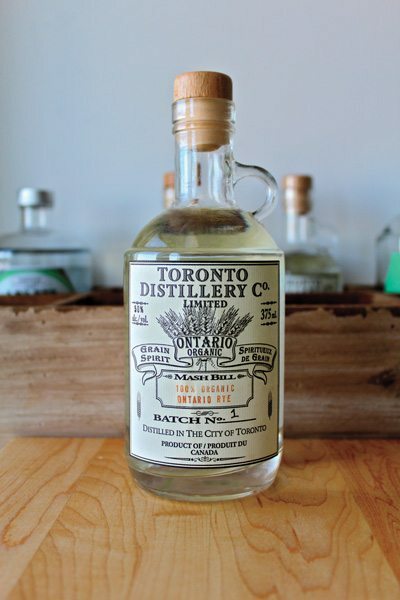 Made-in-Ontario liquor, created using craft distilling processes. 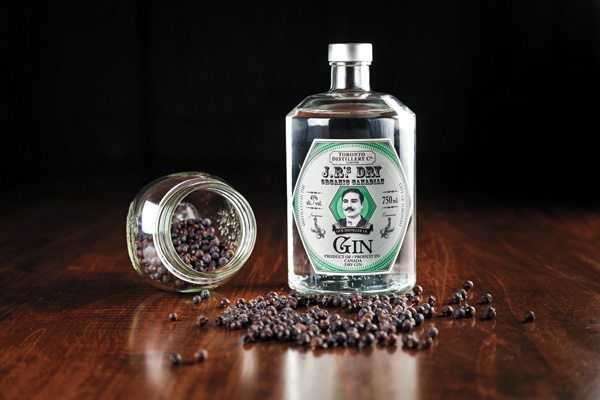 Here, Toronto Distillery’s JR’s Dry Organic Gin. Photo: Jamie Kronick. This type of hands-on work and transparency doesn’t happen at larger outfits. Many in the industry were concerned about the lack of regulation concerning the use of such words as “craft” and “small batch”; big producers were taking advantage of the booming industry by using these terms on labels and in marketing campaigns. But those lax rules are changing. In 2014, the Ontario Craft Distillers Association began lobbying the LCBO to create criteria for craft-distillery status. The list includes mandating that more than 50 percent of raw materials be fermented on-site. Smiley, who has been consulting with North of 7 since 2013, believes the distillery will take off in coming years. He also says that in the next decade, we will see more distilleries. “Some will go belly up, and others will get absorbed by big conglomerates. But then we’ll be left with a nice industry of medium-sized distilleries.